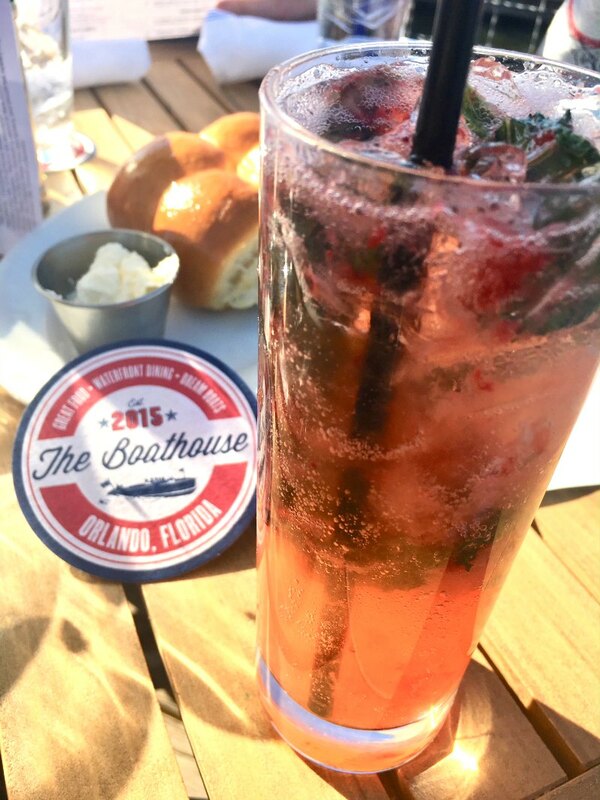 While planning your next visit to Disney Springs The Boathouse is a great restaurant to consider. And yes, you can bring the kids! 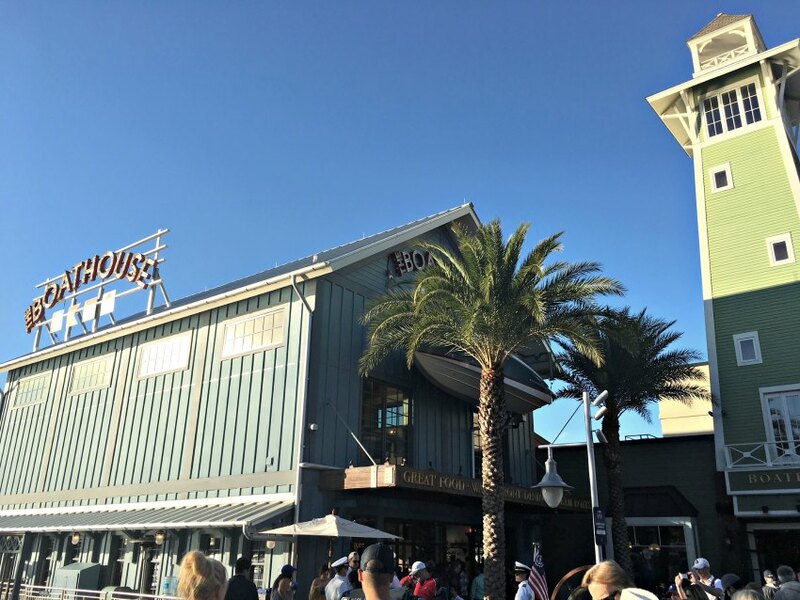 After our visit, I have a few tips for enjoying a beautiful Florida day with some delicious food and drinks. Not to mention those special Walt Disney World details we have come to know and love! I’ll share what we ate and where to sit and even some of my fellow Disney Parks Moms Panelists‘ favorite menu items! Fair warning, you may be hungry by the end of this post. 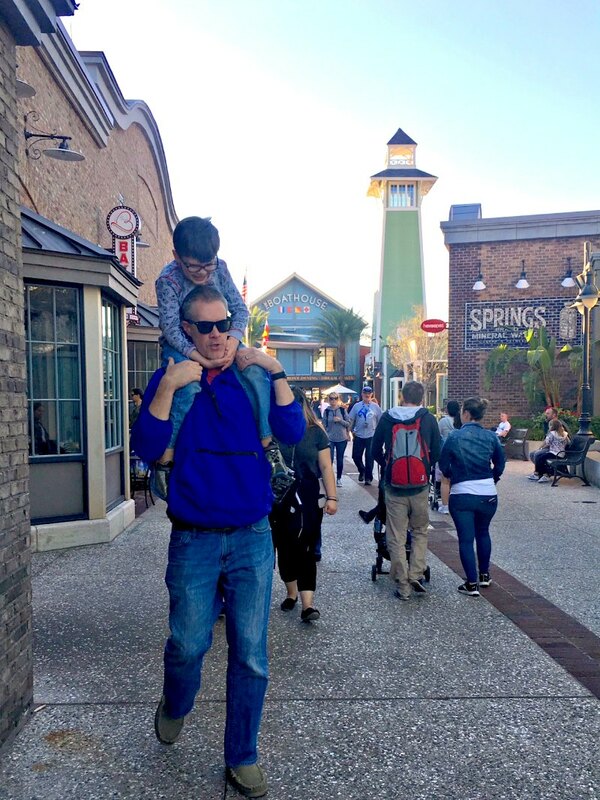 We love Disney Springs because there is always something new to enjoy. If you know me, you know I plan vacations around the food so a huge part of what makes a successful vacation for me is a wonderful dining experience. I knew we wanted to try something different at Disney Springs this time and The Boathouse has been on my list for a while now. This was a quick visit to the Disney area so I was super excited when I snagged a reservation! This signature restaurant at Walt Disney World in Florida is one of the many newer additions to Disney Springs. It’s been open for a while now and I’ve been waiting for the perfect chance to try it. Wondering if The Boathouse is a good fit for your family? I’ll tell you everything we learned. 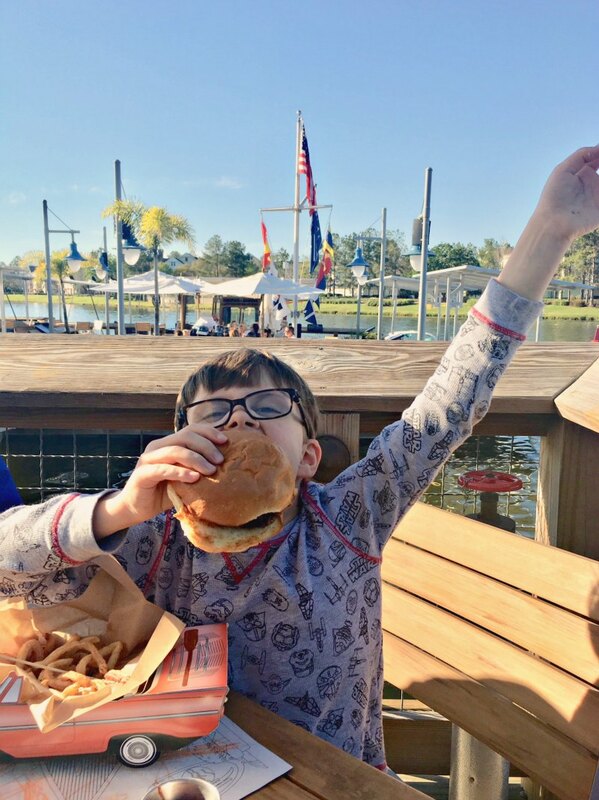 If you have ever been to Walt Disney World, you already know that there are virtually unlimited choices when it comes to meal time. For a foodie like me, the worst part is choosing where to have the best meal ever! And yes, with all the amazing new options to choose from, every meal actually feels like the best meal ever. There are always quick service and last minute table service options available, but if you’re hoping for a particular restaurant, I recommend making a reservation in advance. For me, a good dining experience is an easy dining experience. It’s not that I require an expensive meal all the time or fancy food. A reservation does streamline the process though and gets that food in my belly as quickly as possible. And when I’m surrounded by crowds and we’re having a great time on vacation, it sure is nice to know there is a table waiting for me. Restaurant reservations at Walt Disney World can be made up to 180 days in advance. Yes, that is 6 months! Does it sound crazy to you? Maybe but like I always say, get overwhelmed now and play later. It’s my Disney vacation motto because it works. You can make and change your dining reservations as many times as you want before your trip. Just make sure you cancel anything you don’t want 24 hours in advance to avoid a no-show penalty. If there is availability when you arrive, you can choose between dining indoors or on the massive outdoor deck. Since we just arrived from chilly NC, we chose the deck! It was a little sunny but the views were totally worth it! 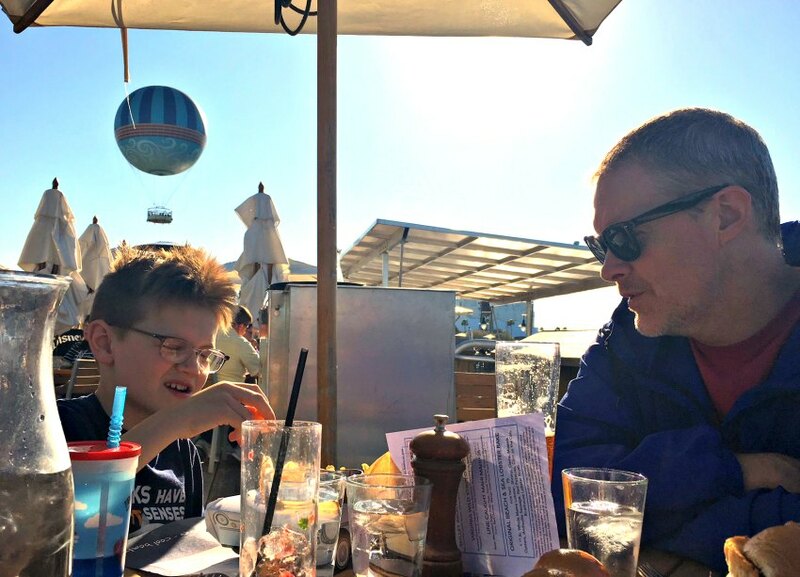 I can’t tell you how many times we watched the Aerophile balloon take flight over Oscar’s head. Ok ok so those are some details but I know what you really want to know about. How is the FOOD?! I’m here to tell you that everything we ate was delicious. Like I said, this is a signature restaurant so prices for adult meals can average about $30 each. If you are on the Disney Dining Plan, each person in your party will use 2 Table Service credits. Jerry ordered a beer and I opted for the refreshing Strawberry Gin Fizz because I’m a sucker for all things Florida and gin. That said, while my drink was delicious and pretty, it was gone way too fast. I decided that next time, I’ll opt for beer for cost effectiveness and a longer lasting refreshment. I love how easy it is to read dining menus ahead of time when choosing a restaurant at Walt Disney World. Anyone with kids knows how essential this step can be. The last thing you want is to end up in a pricey restaurant that has nothing kids will eat. our boys were thrilled with the choices here and they each enjoyed what they ordered. 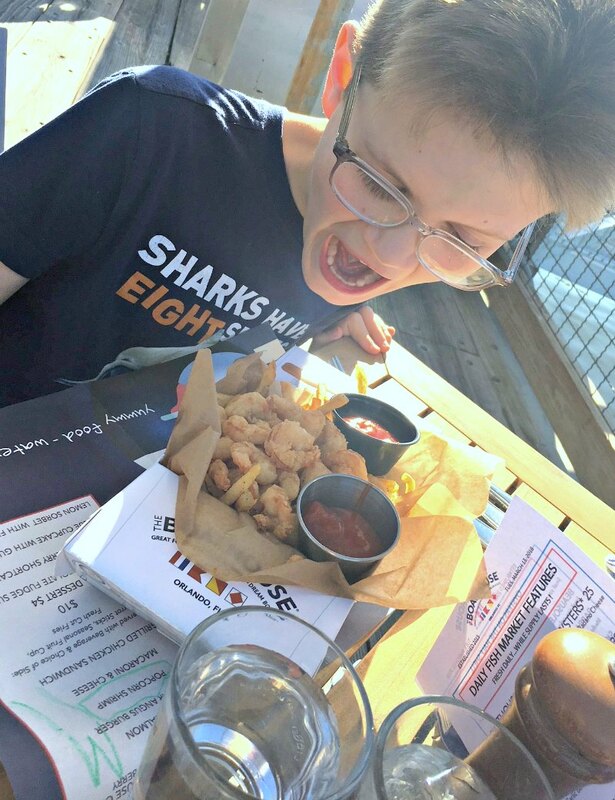 Oscar went with the popcorn shrimp and fries, while Calvin got the cheeseburger (which was huge). Drinks are included with each entree but not dessert. If you are looking to save money by sharing an entree, check with the server first as some are bigger than others. Our server was very helpful and did not steer us wrong! Jerry and I decided to order our own entrees and split them so we could try out some different flavors. 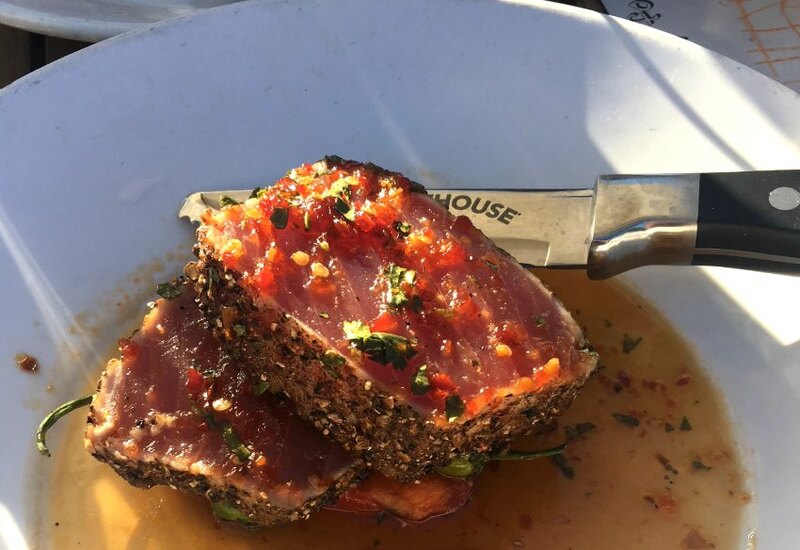 My Coriander Seared Ahi Tuna was amazing but I was glad to have a few bites of his Shrimp & Andouille Mac N’ Cheese because the fish wasn’t quite enough to fill me up. In fact, the pasta was so good we didn’t even have time to take a picture! I asked some of my friends on the Disney Parks Moms Panel to share their favorite menu items and now I am going to need to return so I can try all of the things! Here are their recommendations. Jason – The Koren Style Spicy BBQ fish tacos were outstanding. Perfect mix of heat and cool as the pepper slaw is tamed by the avocado. Highly recommend. Kay – Salmon!!!! Love it! 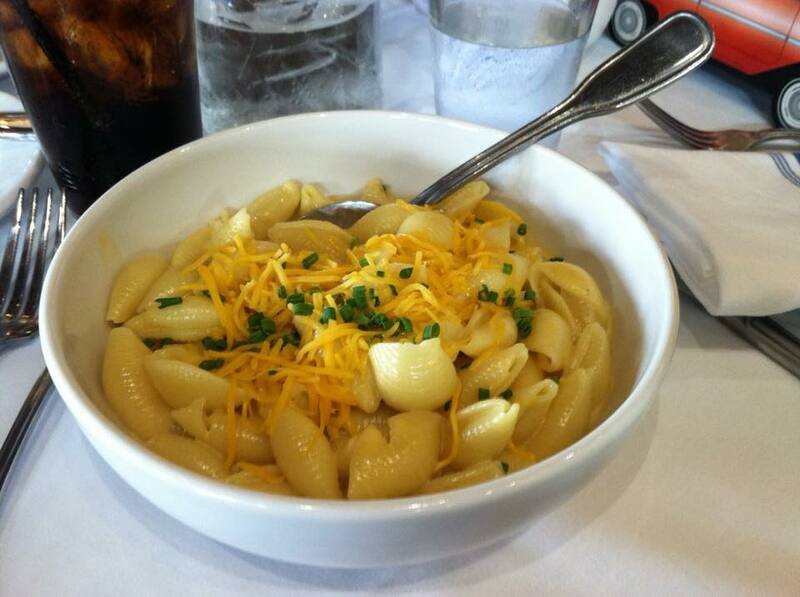 Kathy – I love the mac ‘n’ cheese there. It’s technically served as family style side in a decent-sized bowl, so it makes a perfect meal for me. (and a money saving tip too – you can make a meal of sides and appetizers and not spend a ton of money). Jane – My husband still raves about the ‘Key Lime Pie in a Mason Jar’ which he enjoyed on our last visit! Read more from Jane on her blog, Jane’s World! Lauren – Rounding it out with some tasty drinks, Lauren shared two of her favorites, the Lake Squall and The Moscow Mule. Yum! I’ll admit that it makes me a little nervous taking my kids to signature restaurants. In my mind, not only are they more expensive, but they are also a little more refined and we are….not. This was part of the reason I chose outdoor seating aside from the breathtaking weather. It’s just easier to let our loud voices float away when we aren’t constrained by walls and ceilings. At least that’s what I tell myself! 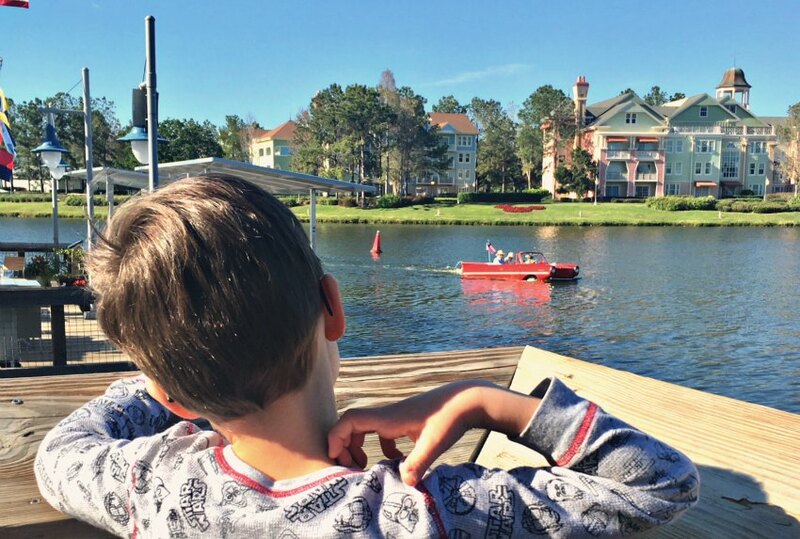 As soon as we were seated, we were treated to a fun view of one of the Vintage Amphicars that are available for rides at The Boathouse. These are not free to ride in, but it costs nothing to watch! The kids loved seeing them “drive” by. Check out Popular Mechanics for a detailed review of the amphicar experience. 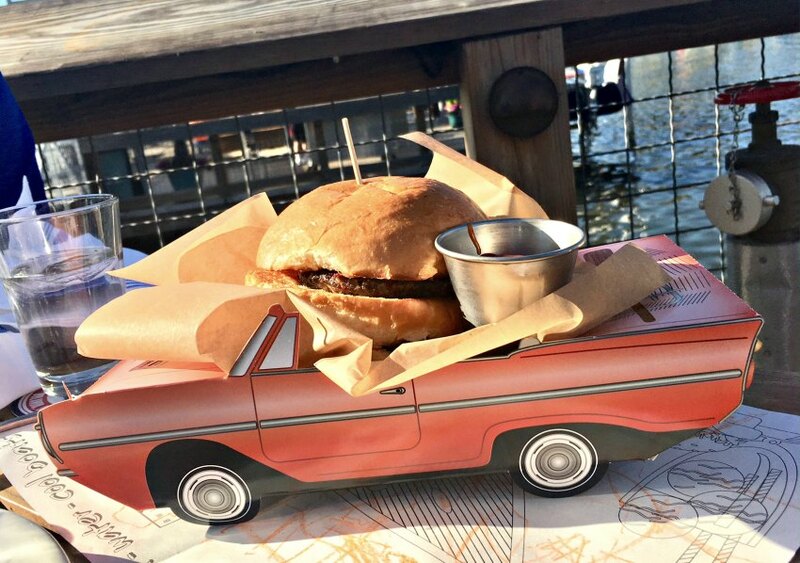 And of course, the kids meals are served in little box versions of these cool cars! How cute is that? Such a fun little detail that made us all smile. Of course it’s all about the food. Like I said before, both boys were happy with their meals and mom and dad were too! We decided to skip dessert because we had the whole night ahead of us to explore Disney Springs. There are just too many treats to try to stay at one place! 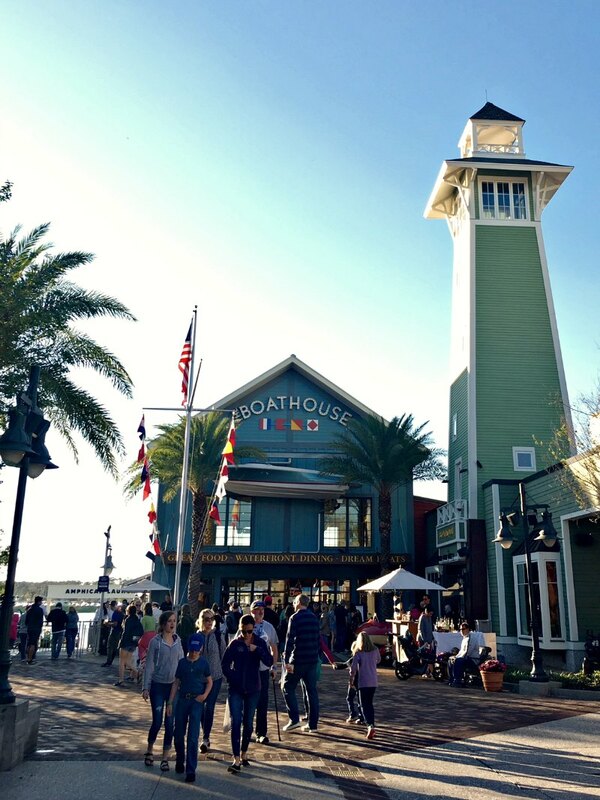 Like nearly all things Disney Springs The Boathouse was just what we needed. It was a great mix of delicious food, a fun atmosphere and lots of laughs. I also loved seeing it transform from day to night as we wandered around the rest of the evening. We will definitely be keeping this one on the list! Was this review helpful? Share and save for later! I love reading dining reviews, thanks for sharing! 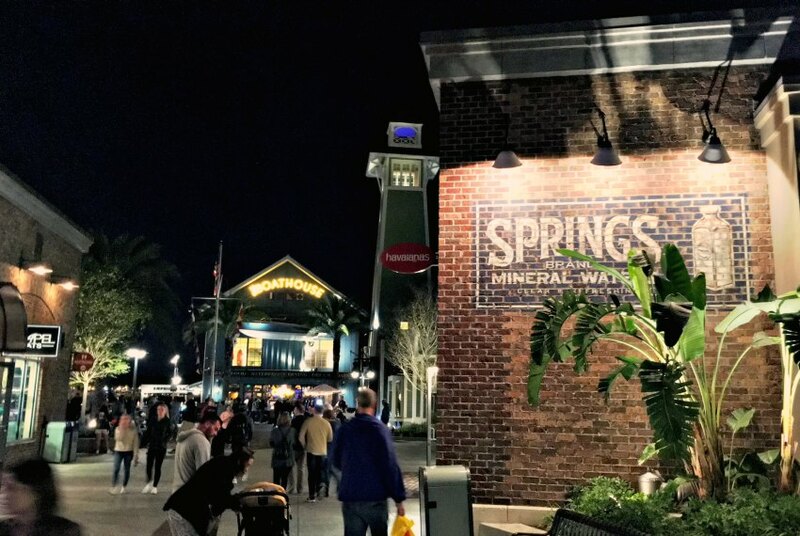 There are SO many choices at Disney Springs, it’s hard to decide where to eat but this sounds like a fantastic choice. You aren’t wrong! I make it my mission to visit at least one new place each time we visit!